We bet many of you have heard about Ray Charles & Sister Rachel, the two sweet brother-sister kittens looking for a special forever home together. We learned about them through our friend Brian of Brian's Home Blog. Well you know what they say about social media...you just never know who might be reading. It only takes one person in the right place at the right time to save a life. Or in this case 2 lives. That's why we are taking a time out from our usual antics to bring you the story of Ray & Rachel in hope you just might know someone, maybe even you, that has enough room in their heart and home for these two sweeties. They were rescued together from a Greenville, SC trailer part where they were part of a feral cat colony. Some of the people in the park were not very kind to the innocent kitties living there. Somehow Ray & Rachel made it out alive. 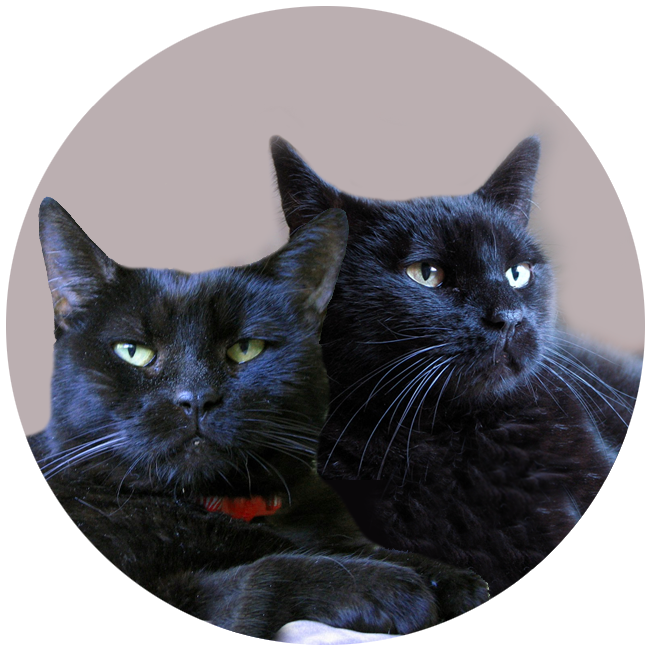 Both were born with a genetic condition called Entropian, which affects the eyelids and causes them to fold inward, against the cat's eye. Thankfully both kitties had surgery to alleviate the condition. Rachel can see perfectly fine now. She looks a little different from some other kitties, but that's just part of what makes her so special. Ray can see, it's just hard to know how much or how clear his sight is. But he's no different than any playful, happy, energetic kitten. We've learned from our friend Homer and all the kitties of Blind Cat Rescue that you don't need your eyes to see love. Even cats that cannot see at all have no idea they're blind. They just know they're cats. They jump, they climb, they chase bugs. They're brave and fearless. A lot of wonderful people have come together to create a 'hope chest' for Ray & Rachel – gift cards, food, blankets, toys and more. There's a world of love out there for these two resilient little kitties. There's just one thing missing. A forever home. • Spread the word by sharing this post on Facebook, Twitter, Pinterest & Google+. • Download the Ray & Rachel FLYER and send it to your friends and contacts via email. • Are you a blogger? Write a blog post to help get the word out! • Stand on your rooftop and ... well, only if you're not scared of heights. It may take a village to get the word out, but it only takes ONE heart and home to adopt these beautiful kittens. Big congrats to "meowmeowmans" from Animal Shelter Volunteer Life! Gracie & Zoe, their two newest cats, are the lucky winners of their very own Smucci Too Pet Bed! Thank you SO much to everyone who entered. We wish we could give everyone a prize...but hopefully like the lottery, there's a little thrill in the game. We've got more cool giveaways in store, so stay tuned! Pssst! 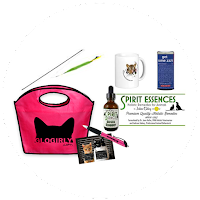 Smucci Too is offering 20% off thru September for GLOGIRLY readers! Use promo code: Glogirly. Sponsored by GLOGIRLY & The Tiniest Tiger – Enter on both blogs and double your chances. Two lucky winners will receive an exclusive prize package. 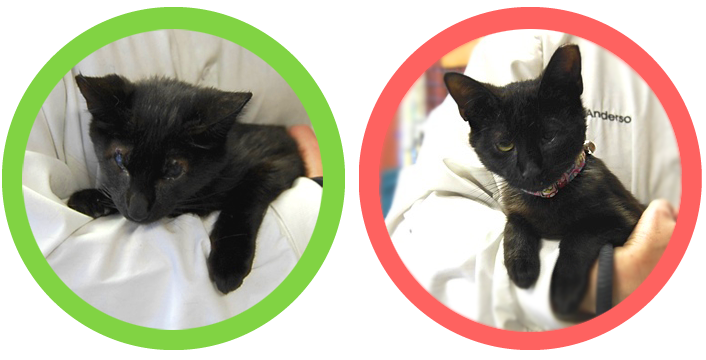 Hoping these gorgeous House Panthers find a great Forever Home soon! If I didn't already have four cats....and 10 goats. Good luck kitties! I did a blog post earlier this week. What a wonderful post for Ray and Rachel. We just adore them and send our purrs that a very special forever home will come forward to love and cherish them. Shared to Facebook,Pinterest, Google+, and Twitter for these sweeties! I'm purring really, really hard for Ray and Rachel to find a home soon! Congratulations Gracie & Zoe! 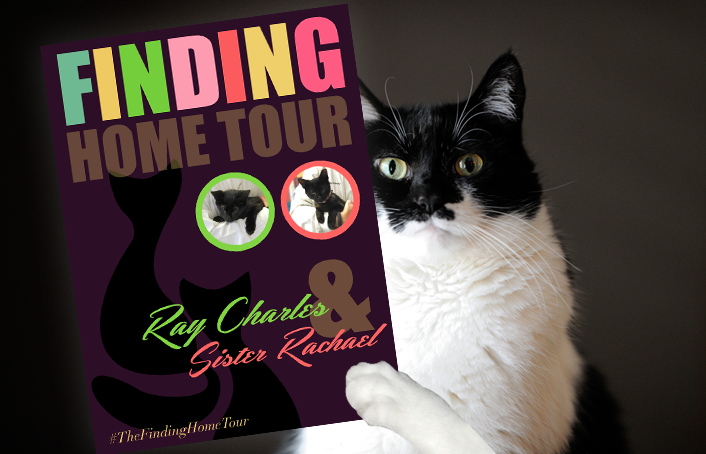 We'll share the story of Ray Charles & Rachel! Rescued is our favorite breed! We've been sharing the word about Ray Charles & Rachel and crossing our paws that the right forever home hears about them soon! We can't believe these two wonderful kitties still don't have forever homes. We're purring loud and hard for them to find the purrfect home. We're purring that these two find their furever homes real soon! And congrats to meowmeowmans on winning...we know Gracie and Zoe are gonna love that bed! The momsy has her hands full with two special needs cats here already, but she will definitely share this! We hope they find a great home soons!! Love this! I mean I love the unique and eye-catching way you put this together, very stylish and a fun way to get the word out there about these two 'Stars'! Guys, thanks for posting about my two wonderful fosters, and know that my vet just told me from Ray's vet visit this past Monday that he believes he sees some improvement in his left eye due to the eye drops he's now receiving! He is a little love & Rachel is too. I hope they finally find their home! We are going to share again, with your post! We are keeping our paws crossed they find their forever home real soon. They are such cuties! And big concats on meowmeowman's win! Hi Glogirly, we like cats. We'll try too. With a little luck and your clever and appealing post, those two kids will find a good home. Shared! I'm sure these two will find a loving home. Too bad my dog Pierson hates cats (or loves them because they are fun to chase and might be tasty). Thanks so much for sharing these sweeties!!! We love you guys!!! 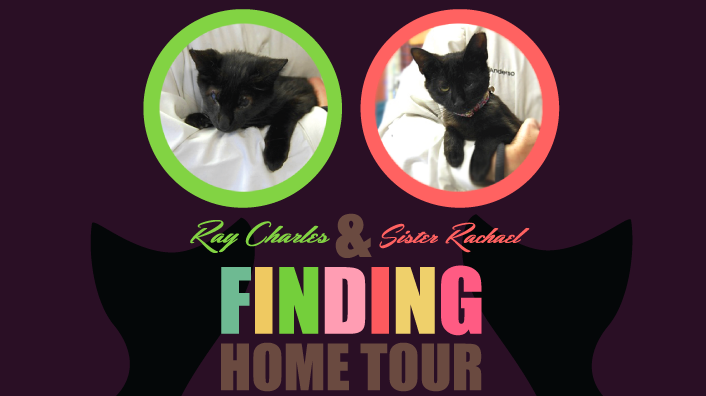 We're purring and praying for Ray and Rachel to find a forever loving home very soon. Thank you for posting about them in such a big way; we know every little bit of awareness helps. Speaking of which, I'll tweet about it now! Concats to Moosey and his new sisfurs! Woot! I've run out of idea for Ray and Rachel. I'm beginning to think it might be their names holding them back. There are some racist people in this world who wouldn't want a cat named after Ray Charles. We know that there is a home just waiting for these two!! I hope these babies find a forever home soon. I shared on FB and Twitter. They are beautiful and you are wonderful for sharing their story. It makes such a difference for cats in need of a loving home! Keep my paws crossed that Ray Charles and Sister Rachel will find their foreverhome real soon !